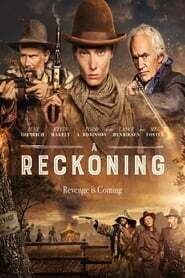 A female-driven story, The Reckoning is set around the witch hunts and the great plague in England in 1665 and follows Evelyn Haverstock (Kirk), a young widow, haunted by the recent suicide of her husband Joseph, who is falsely accused of being a The Witch Hunters witch by her jealous Landlord, Squire Pendleton, after she rejects his unwanted advances. Marshall has been behind such horror pics as Dog Soldiers and The Descent which brought in more than $60 million combined at the global box office. Mad World He is also behind Lionsgate’s Hellboy which opens on April 12 next year. Marshall has also directed episodes of Game of Thrones, Westworld, Netflix’s Lost in Space and more. Marshall was Emmy-nominated for his Game of Thrones episode “The Watchers on the Wall” back in 2014. Kirk recently wrapped filming on Nicole Animal World & OJ starring as Nicole Brown Simpson and was recently seen in Warner Bros./Village Roadshow’s Ocean’s Eight.